En Construcción, Buenos Aires, Argentina. Estela Saez was invited as a guest teacher and lecturer. 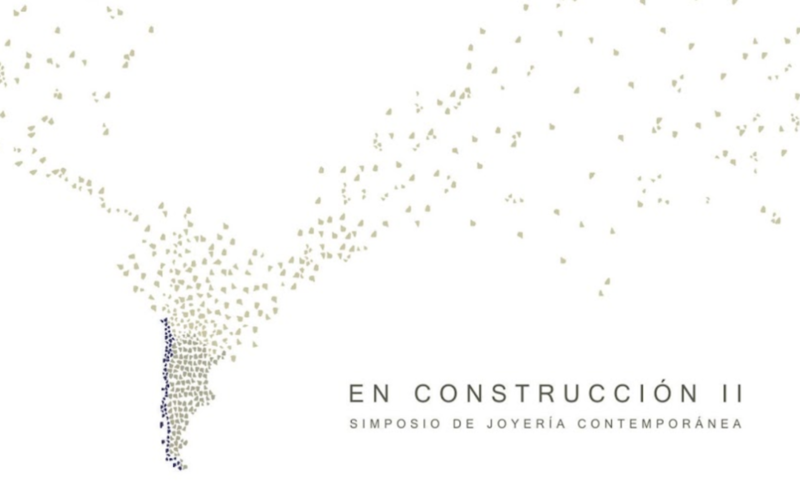 En Construcción means the stage of development in which contemporary jewelry is, at this moment, in the participating countries, with the possibility of extending its meaning to new areas. Today we can recognize that the concept of contemporary jewelry making has evolved into an independent and interdisciplinary field of study, it has become a matter of analysis, experimentation, individual expression and cultural communication, enabling provocation, critic, collection, transmission and generation of meanings. New generations of contemporary jewelry makers invite us to look outside the traditional frame work, strengthening the study of the relationship between jewelry and those who possess and wear them, without forgetting their inescapable sense as a cultural object and as a means of artistic expression. In the Latin American context and specifically where we place the project: Argentina and Chile, it is a relatively new idea-concept, even though there are proposals that begin to focus on understanding and working towards this directions. The absence of institutional support in both training and production, as well as in providing exhibition spaces, experimentation and research, makes it necessary for different proposals to open new ways.